The Young Adult Division (YAD) of the Jewish Federation of Greater Santa Barbara is hosting its12th Annual Vodka Latke Holiday Party on Saturday, December 8th from 7:00–10:00 pm at the Jewish Federation of Greater Santa Barbara, 524 Chapala St. SB 93101. With great tunes, delicious treats, and fantastic friends, YAD celebrates 12 years of bringing Jewish young adults together for Chanukah, the Festival of Lights. 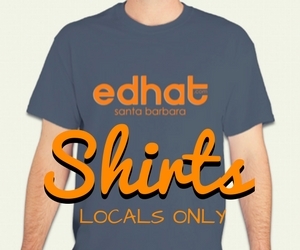 Admission to the event includes an open bar, interactive games and tasty latkes and jelly donuts. 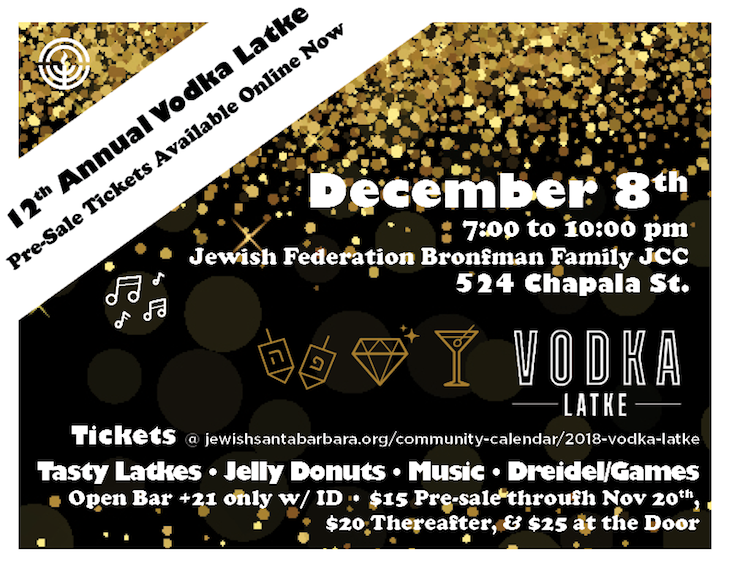 Admission for Vodka Latke supports Jewish Federation of Greater Santa Barbara programs including senior services, counseling, volunteer programs, community education, and rescue and relief. Jewish Federation programs are open to all regardless of age, ethnicity, religion, or gender. Vodka Latke is the largest Young Adult Holiday Party on the Central Coast. This celebration brings a sense of comfort, tradition, and community to many young adults who are new to the area, or who may be far from family for the holidays. Vodka Latke provides a lively space to have some holiday fun with friends, old and new.